We're so glad to have you. We know you've put a lot of sweat and hours into creating your awesome brushes. If you think you're ready to sell them, take a careful check through this list to make sure everything is ready to go. ✅ Have you given your brush pack a title? Think about including your brand or name in the title to make it original and remind them where it came from. ✅ Have you given each of your individual brushes a name? ✅ Have you checked the spelling of each brush name? ✅ Have you drawn with each brush to make sure it draws how you think it will? ✅ While you’re at it, imagine how you would use the brush in your work and draw something with it. You can use it as an example to help sell the brush. ✅ Do you have a description of your brush pack ready? Jot something down about its inspiration and how your customer will use it in their work, to help them know it’s a good fit. ✅Let the user know what to expect about the performance of the brush. If the brush was made with small stamps, tell them its primary use is as a liner or pen, for example. If it’s a larger brush style, mention it. ✅Once you’ve checked your brushes and pack data, export the pack to your Files or cloud by drag & dropping it from the Brushes menu straight into the app. It will be added as a .brushpack file. This file is what you will provide to your customers to download from the store. Check that Concepts is on your device (iPad Pro, iPad or iPhone only; Windows doesn't support brush packs yet) and that you are a Pro user (Essentials or subscription). Check that you're logged in to your free Concepts account. This allows you to use the brushes across all devices. Downloading won't work without an account. Save the brush pack to Files. Tap on the file to open it, and tap on the export icon in the top right corner. Select ‘Copy to Concepts’. Concepts will open and you’ll get a message that the brush pack was added to your library. Tap “OK”. Double-tap a tool on the tool wheel (or single-tap on an active tool) to enter the Brushes Menu. The brush pack has been added under “Imported”. You’re all set up - pick a brush and start creating! **Note that purchased brushes may be duplicated and adjusted within the brush pack for personal creative use, but cannot be moved or shared out of the brush pack to preserve the creative rights of the author. 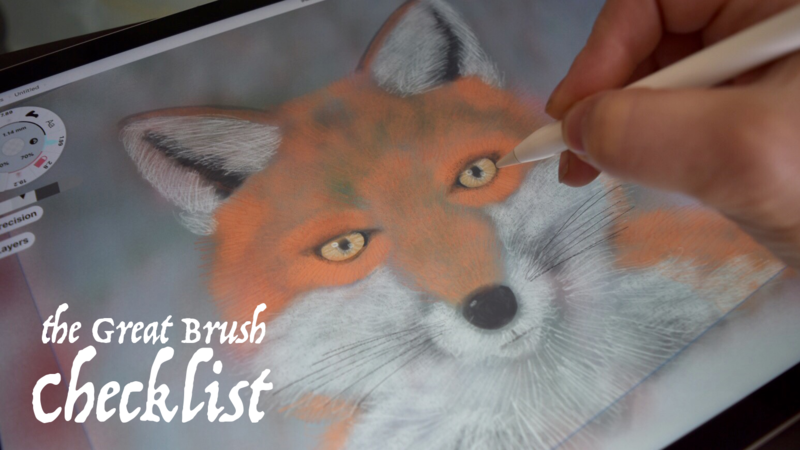 ● Have a compelling piece of art or design work made for each brush pack as an example of what the brushes can do. People like to see what they do before buying. ● We recommend you note a few key points about why your brush pack is awesome or unique, and maybe a few words about your inspiration behind it. Knowing the story helps sell the story. ● Check your spelling on every brush name, title and description. This makes not only the presentation but the brushes themselves (and by extension your brand) feel more polished and professional. ● Not sure how to price your packs? Take 30 minutes to search out other artists' work who may be similar in style, both in the app and with other apps, to make sure you're on target. ● Be brave and share your work on your social channels, with your friends and with us! The more you reach out, the more others can see you and share your work along. Good luck with your preparations and sales! We wish you the best. If you have questions, send an email to concepts@tophatch.com and we'll be happy to help.